The microprocessors in a personal computer or a heavy workstation, the chip in a mobile, digital camera or a camcorder- all of these revolutionary items were a product of VLSI technology. VLSI stands for Very Large-Scale Integration. Through this technology, integration of circuit through the integration of millions of transistors into a chip has been achieved. This is what helps in the creation of microprocessors and chips, without which, our lives just won’t be the same as today. 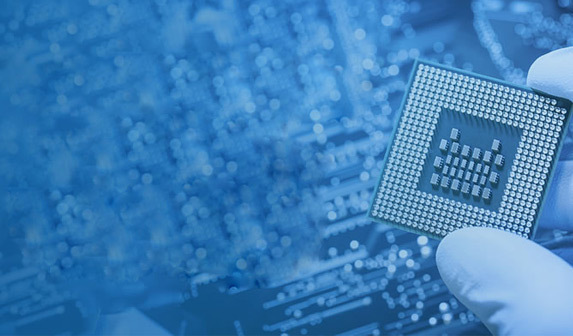 If one is thinking of vlsi design verification training or to become a vlsi design verification engineer, some pointers are mentioned below. Learners of design verification often have to understand the basics of front-end design constructs. Gain hands on experience on basic ideas and topics as well. When the data flow is understood, proceed with building a standard test environment. It is also advised to have previous knowledge on digital design concepts as it is rather fundamental. Keeping this mind, it should be noted that there are many categories to verifications, namely, some are- IP verification, CPU verification, SoC verification and Timing Verification. 1. Knowledge on Verilog and its code – the RTL design. 2. Knowledge on System Verilog. This is an extended version of Verilog. 3. For many top and big-name semiconductor companies, the understanding of C is also required. 4. Know-hows of the Amba protocol can also help greatly. Many also say that spotting mistakes everywhere possible, makes a good verification engineer and training one’s mind to spot mistakes and assumptions can be very helpful in the field. Argumentative though process is something upon which Verilog functions. This means to find out and bust loop holes in working and sensible designs. OOPS- Object Oriented Programming Concepts can also help prepare for being a verification engineer in VLSI. It is also advised that prospective participants also be prepared for general behavioural questions. Previous knowledge on scripting languages such as PERL or TCL may also prove useful along with knowing some basic commands for Linux. Some recommend knowing and having sound knowledge on CMOS fundamentals too. With SoC verification, as writing Connectivity based TestCases.Hard IP are also present, the skill sets are yet to be seen for this one. The job of a verification engineer is spread over many levels such as the unit level, subsystem or system level, emulation, and post silicon. Each level requires the carrying forth of certain instructions and actions. Functional and formal verification are two types of verifications with differences in state spaces. Formal verification has a verified whole state space whereas functional verification has a random state space where not each state is covered. Verification Engineers, as the title itself suggests, focus on bug testing, designing reference models and smart random input. Overall, the above mentioned is a small insight to both the field and the job. As established, to become a verification engineer, certain basic knowledge is a must and if that is cleared and qualified, there is nothing else standing in the way.